Is September nearing an end already? 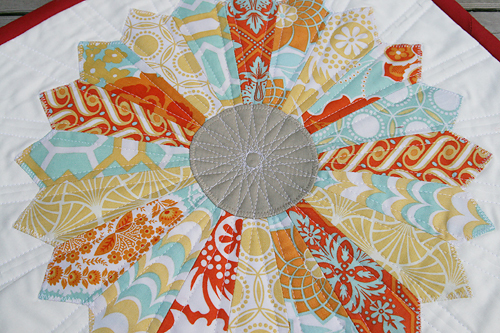 Today is the last week of Mini Quilt Monday. I hope you have enjoyed spending the month challenging yourself to try new things. This week I decided to try my hand at Dresden Plates. I've wanted to try these since I first saw the cover of the book Material Obsession. That quilt is *so* beautiful. I followed Elizabeth Hartman's tutorial from Sew Mama Sew. She makes everything so easy to understand. These were a lot easier to make than I thought they would be. (I did purchase a special ruler at JoAnns for about $5.) The center circle could use some practice, but overall I'm happy with how this mini turned out and definitely wouldn't shy away from making more of these. 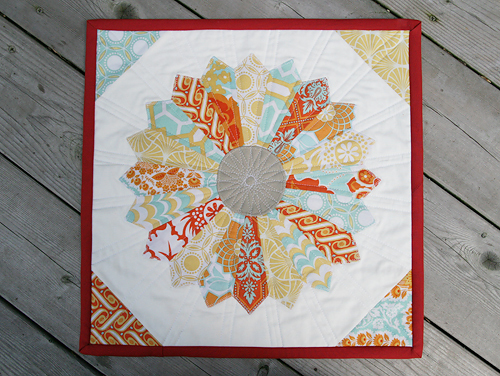 I used my collection of Joel Dewberry's Heirloom fabric, such pretty colors and designs. 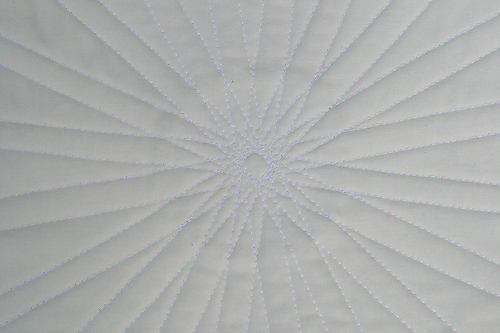 I quilted straight lines 1/4" on each side of the dresden seams and continuing to the edge of the quilt. It produced a pretty star in the center. The binding is actually closer to red, Kona Cayenne, but I thought it looked quite nice with the Heirloom palette. The final size is 16" square. So there you have it - now let's see what you made this week!